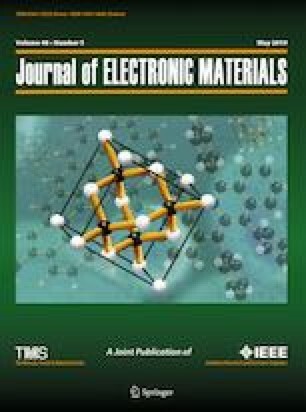 The metalorganic chemical vapor deposition growth of GaN on strained Si/Si1−xGex epilayers on (111) Si substrates was investigated. A multi-beam optical stress sensor (MOSS) was used for in situ stress measurements during growth of the entire heterostructure. MOSS was initially used to measure the extent of stress relaxation during the growth of constant-composition Si1−xGex layers on Si. The results compared favorably to that obtained by post-growth high-resolution x-ray diffraction. MOSS was also used to monitor stress during the growth of thin, tensile-strained Si on relaxed Si0.95Ge0.05/compositionally graded epilayers. The tensile-strained Si/Si1−xGex epilayers were then used as virtual substrates for the growth of GaN epilayers using a thin (90 nm) AlN buffer layer. GaN grown on tensile-strained Si exhibited a higher initial compressive stress and reduced final tensile stress compared to films grown directly on (111) Si, resulting in a lower crack density in the GaN along with a reduced density of threading dislocations. These results suggest that strain engineering of the Si surface prior to growth may provide an alternative method to improve the quality of GaN grown on (111) Si. The authors would like to thank Dr. Tanushree Choudhury for helpful discussions during the experiments. This work was supported by the National Science Foundation under Grants Nos. DMR-1410765 and DMR-1808900.